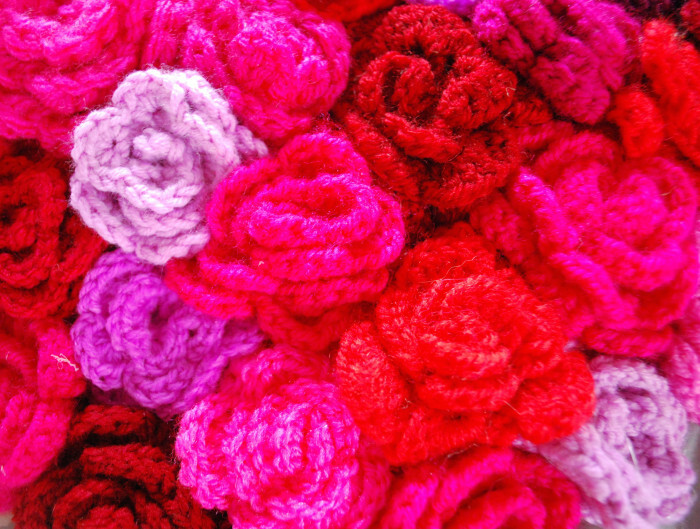 Take a large pile of crochet roses (from last years yarn bomb!) ........ add one glue gun and wicker heart frame from your local florist.......mix together for bright colourful results! Now take one reluctant daughter.....one happy to help neighbour (thanks AD!) with camera and snap away!